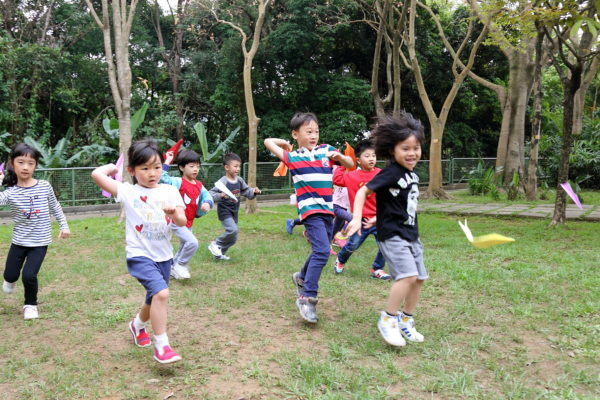 Breathing in the fresh air and learning in a wide-open green space grows our children’s body and mind. 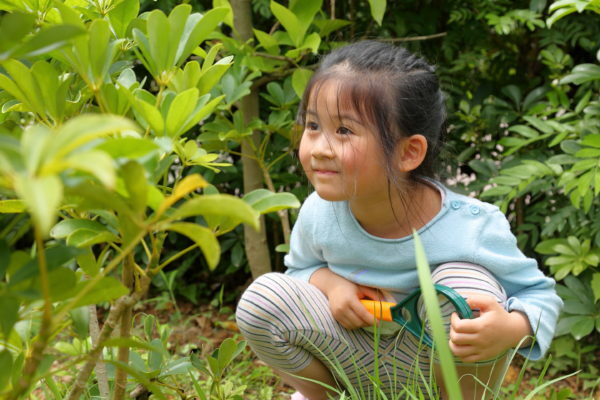 The close to nature environment provides lively learning substances for experimentation and exploration, which raises children’s understanding and curiosity to our mother Earth, environmental protection and appreciation of life. 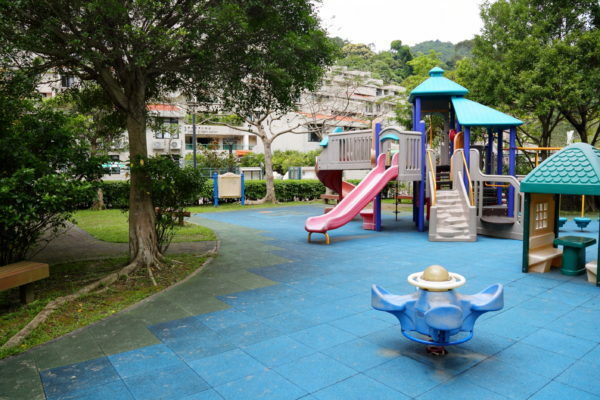 The popular playground among our children covers over 300 square meters of our outdoor area. 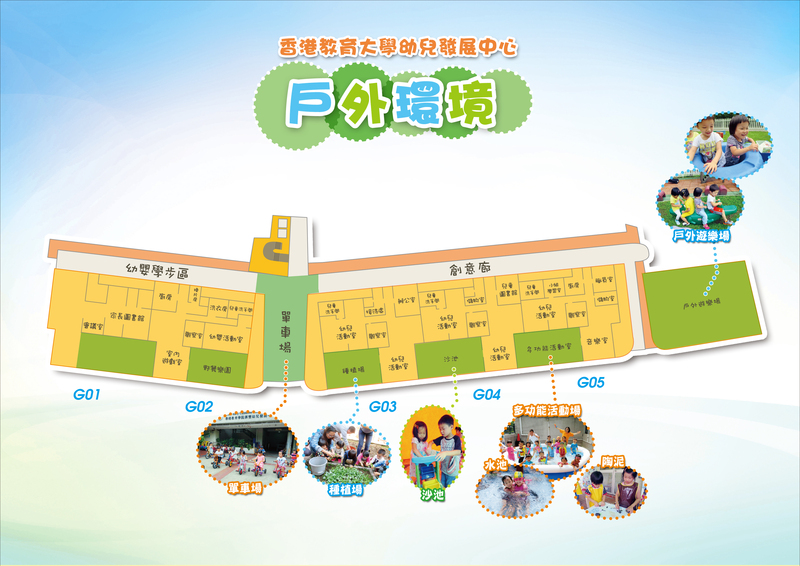 Teachers and children rotate different sports equipments for physical activities and obstacle courses. There are various big pieces of play equipment to train up our children’s gross motor skills through play. 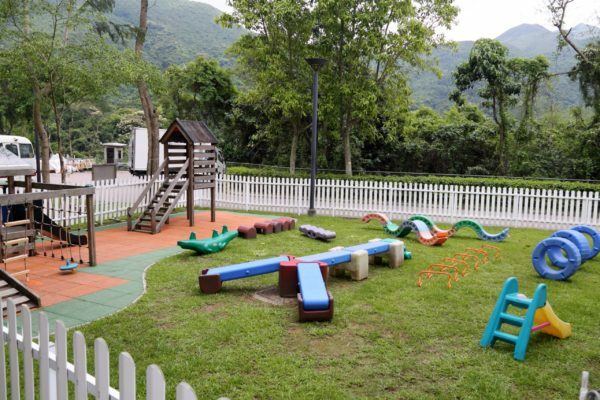 Children can roam freely in the spacious grass lawn and take their initiatives to explore in the nature. 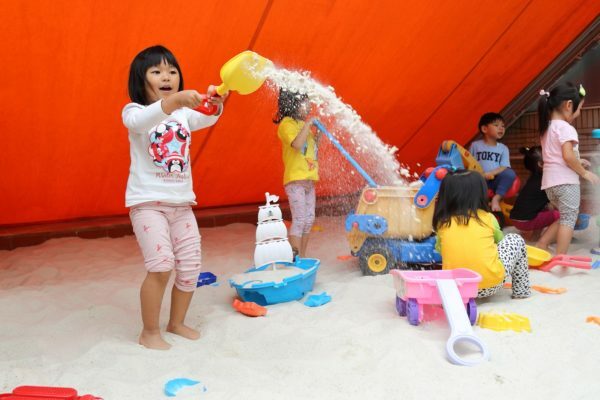 The assorted sand toys in the sandpit give plenty of sensory simulations. Children show their imagination and creativity in buildingand shaping with sand. 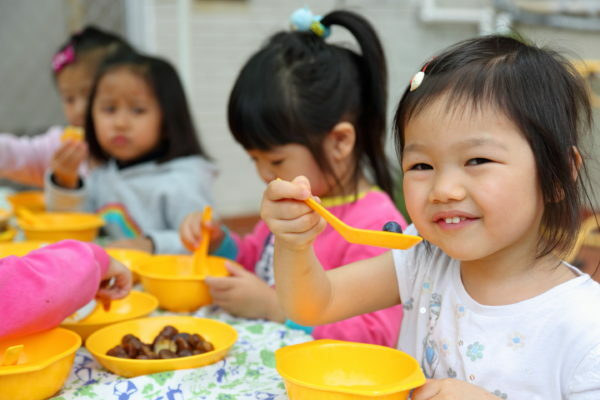 It is where every child would like to spend more time inside. 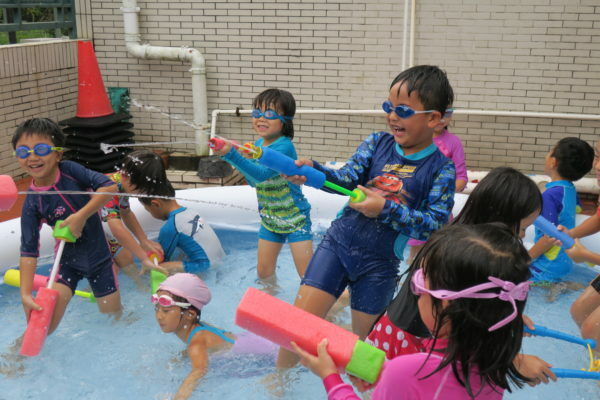 The paddling pool is available every summer for water fun in the heat. Children understand characteristics of water from the touch-and-feel experience which will lead to their curiosity in further exploration. 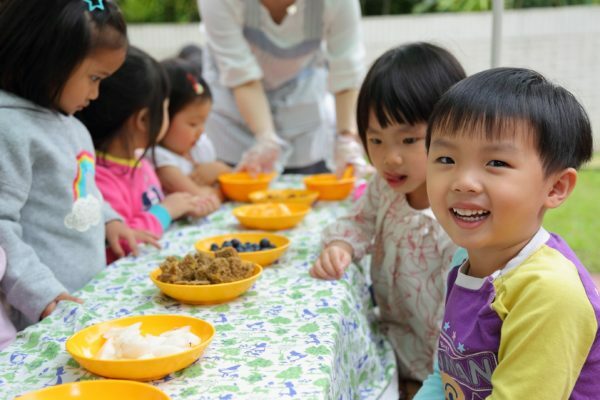 Children enjoy sitting around the child-friendly long tables in the backyard lawn. They always look forward to picnic here and share food with their peers. There is a immerse diversity of plants growing in our school gardens, some in the field and some growing in pots. Our parent volunteers and children enjoy the gardening and watering together and develop the mind set of loving the plants. Pedaling on bikes develop and promote children’s gross motor skills. Our cycling area has plenty of space for games and activities. 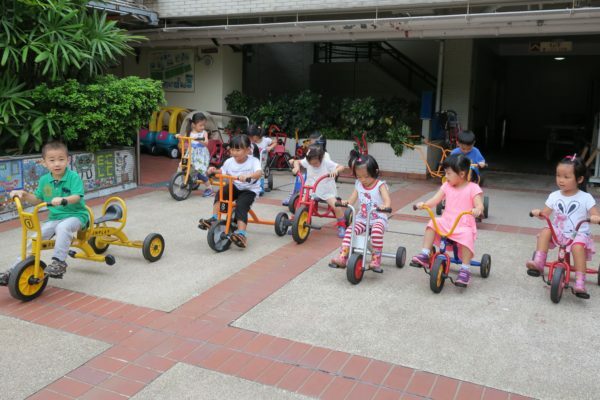 We set up obstacles for young children to practice turning, and the slight slope allows children to master controlling a bicycle, tricycles and scooters.